Welcome ANA Nurses to your resource for Long Term Care (LTC) Planning! "I very much appreciate the Nurse Long-Term Care Benefit Service you are providing. Especially, the on-going LTC specialist Advocate assistance; it's so very important". For almost three decades, Anchor Health Administrators (AHA) has been dedicated to providing comprehensive Long-Term Care (LTC) Program Planning for eligible Registered Nurses and their Spouses. We are a specialist team of Nurse LTC Advocates, solely focused on providing the superior mentoring. Nurses and their Spouses have come to expect regarding this serious concern of Long-Term Care Planning. Consequently, we take pride in our path continuance as the "Official LTC Provider and Designated Advocate for ANA and C-SNAs, Nationwide". 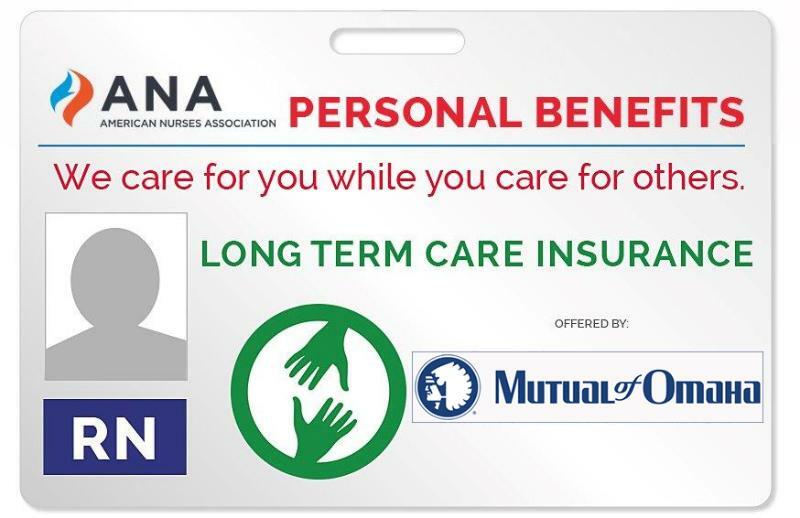 The ANA Personal Benefit LTC Program is designed to provide multiple resources and options to address the Nurse's personal LTC needs. Nursing is a dedicated field of Advocacy for Patients, in their time of need. Many ANA Members may have resulting personal concerns about their own collective physical health stemming from their years of Service/Advocacy for their patients. RNs can as a result, may be burdened themselves with a significant degree of health issues of their own, which may become a challenging factor for them as they seek to qualify health-wise for their LTC coverage. Daily, we are calling upon our Specialist LTC Advocate Skills to determine the best and most appropriate plan of LTC protection for the individual RN, as they plan for their possible time of need for LTC services, even though they may be experiencing complicated health issues. Fortunately, we have many, many LTC solutions, along-with specialist experience to explain and guide the individual RN's in their "No Obligation" inquirery regarding LTC coverage options. Paid Home Health Care provider can be "Family Member or Friend"
As a Nurse, you readily recognize the importance of the quality of care as well as the high costs associated with it. This is why planning for you and your family’s Long-Term Care needs is increasingly important to us all. We strongly urge you to take advantage of your free, no obligation consultation with a specialist LTC, RN, Advocate. REGISTERED NURSE, or, FAMILY MEMBER, are invited to call us toll-free at 1-844-RN-PLANS (1-844-767-5267). Official LTC provider and Designated Advocate for ANA. "Specialists in Long Term Care Insurance Planning for Nurses"
© 2019 Anchor Health Administrators. All rights reserved.